TravStar1 Point Of Sale SystemManager's Work Station MWS Admin UtilityHow Do I Create a Manager's Work Station Login for Cashier's to Declare Tills? 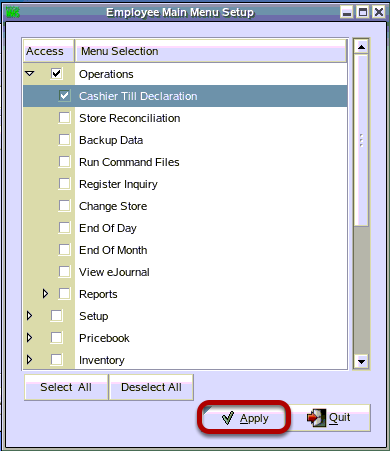 How Do I Create a Manager's Work Station Login for Cashier's to Declare Tills? 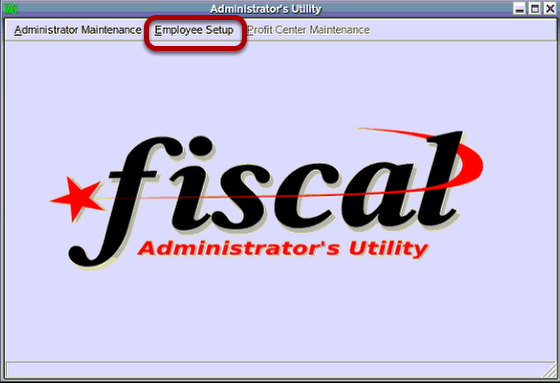 This lesson will teach you how to add a new user to the MWS Admin Utility. The example used in this lesson will be for cashier's you want to only have the ability to declare their register tills. From the Employee Maintenance screen, click on the "New" button. Type in the new employee ID login. 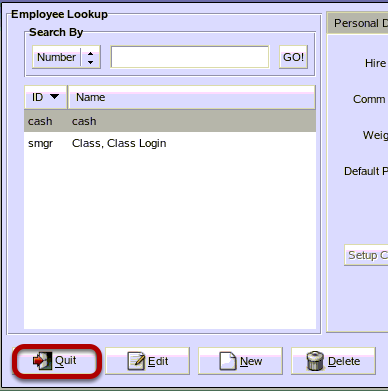 The employee ID login can be up to 4 characters. Click on the "OK" button. (1) Type in all information you want to store for the user. The only required information in a last name. (2) Type in the password you want the user to use to access the Manager's Work Station. Re-type the new password to confirm. 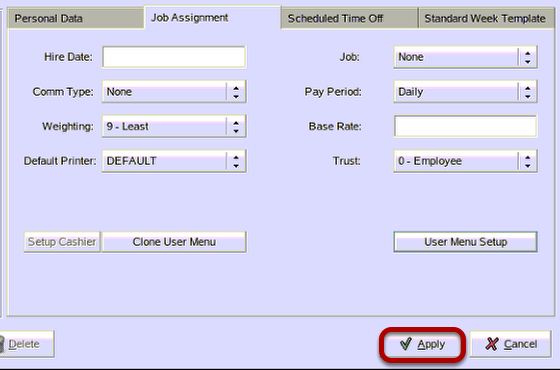 (3) Click on the Job Assignment tab. (1) From the Job Assignment tab, give the new user a trust level. Note: The trust levels are employee, assistance manager, manager, and supervisor. 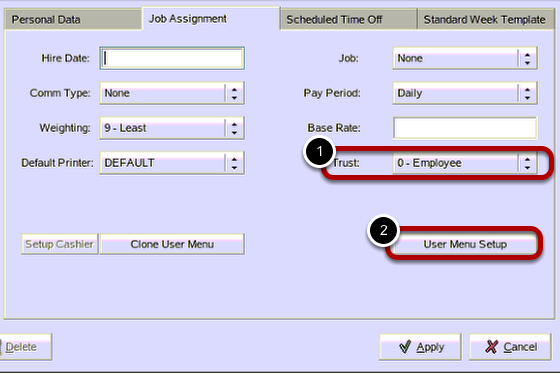 For this example we want the employee to have minimal privileges; therefore, highlight 0 - Employee. (2) Click on the "User Menu Setup"button. Since nothing has been setup for the user, you will see this information box, Click on the "OK" button. Click on the drop down arrow beside Operations. A list of all modules within the Operations menu will appear. Check the box beside Cashier Till Declaration. Then click on the "Apply" button. Note: If you just check the operations box, then all modules within operations will be selected. You can also use the "Select All" and "Deselect All" buttons to check all modules and remove the check from all modules. 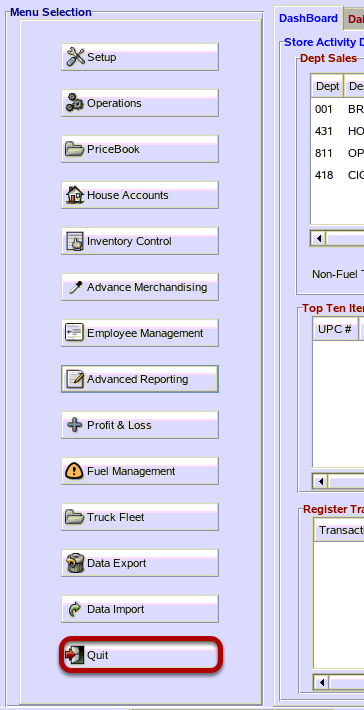 This feature allows you to control the exact modules within the Manager's Work Station each user has access to. Your new user is now listed in the Employee Lookup menu. Click on the "Quit" button. Click on the Administrator Maintenance drop down, then click on Quit. From the desktop, locate the Manager's Work Station icon. Double click on this icon. Type the new ID and Password. Then click on the "Apply"button. 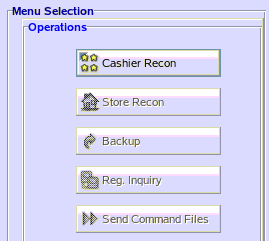 Note that the only module available to the user is the Cashier Reconciliation. Prev: How Do I Change the Password on the Manager's Work Station? Next: How Do I Change the MWS Admin Utility Password?